The easiest and most cost effective (meaning free) way to do this is to upload your video to YouTube. This will enable it to work with most phones with QR code readers. Once your video is uploaded,find the URL to your video. You can find this by clicking the share button under video and copying the “http://www.youtube.com/watch?v=XXXXXXXXX” link (see image below) and saving it for a later step. 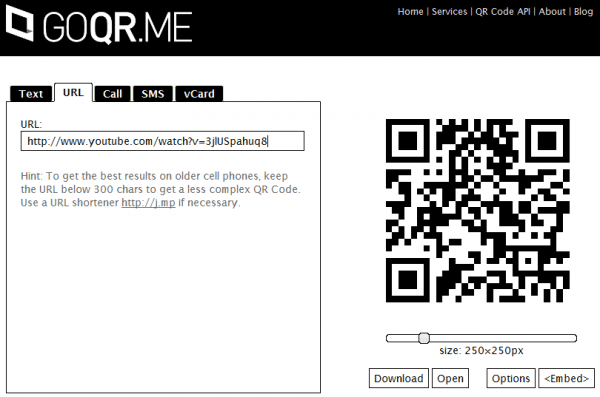 For the next step, we will use my favorite QR code generator, GoQR.me, its free. Once you are there, select the URL tab and insert your YouTube link from step 1. This step is the easiest. 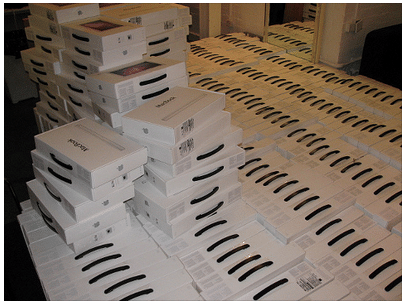 Pickup your mobile phone and open up your favorite QR code reader. Scan your QR code video link that you just created. Your QR code reader should recognize your link to your video and offer to open it up in the YouTube app. Now, you are done. Simple isn’t it? Now we need to get the QR code onto your promotional materials. First, download your QR code from GoQR.me by changing the size to 500px and clicking download. Now you can place this QR code on your business cards, posters, real estate signs, TV commercials, print ads and where ever else you can think of. Very Simple & Impressive! Great Work and Free????? can i generate qr code in rdlc report in .net? It opens as a webpage and need to push play in order to watch the video. Is there a way to make it play instantly? Don’t think so. Could change depending on the mobile device. Thanks for this hint /Gunnar – this did the job for me. I wanted to link a QR Code directly to a video to view/download it with mobile devices (iOS, Android, etc). In the first approach i linked directly to the mp4-file which is working on iPhone and some Android phones but some QR-Code scanners on Android (especially barcoo, barcode scanner, QR code scanner; on a Desire Z with Cyanogen MOD) simply did nothing after scanning the code. First i thought it depends on the Custom ROM until i noticed the same behaviour on a X10i with Stock ROM and barcoo and barcode scanner. I decided to put an index.html with your mentioned code (adapted for my purpose, the URL is pointing on the video) into the folder where the video is located and now it works on all the above mentioned android devices. Still have to test if it’s also working on iPhone but i think it’ll also work. I use iPhono, so you bet 😉 I’m glad you liked the tip! So, what do you do if you did all of that, tested the heck out of it, and published something with the QR codes. Now, when you scan the QR codes (probably a month after testing), the links take you to the YouTube channel homepage, not the individual videos. The links go directly to the videos if you are on a computer – ie if you forward the link from the QR code to an email address, and then open it on a computer – but if you scan it from an iphone or andrpoid device, it goes to our YouTube channel homepage. It seems like this has to be something with the link being redirected on mobile devices, but we tested it and it used to work. What changed? What if you don’t want your video to be on Youtube and you already printed the QR code directed to a landing page – can you embed video into the mobile-friendly landing page design? I’m not Debbie but I think the answer is yes. I experimented with creating a QR code linked to an existing page embedded with a video and when it is scanned both the page and the embedded player appear. I understand it to be a strength of the code format that content can be changed without reprinting material displaying the code.